Actual progress! 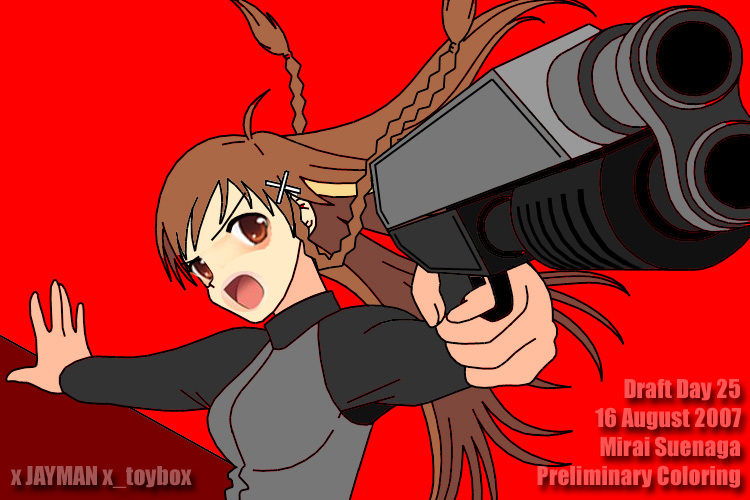 Since my last Mirai update over a month ago — My Eye on Mirai, Day 16 — found only 9 more random days to push forward my Mirai Suenaga battle piece, for a mere total of 25 random days since May 28th. Yet again, here’s a 750×500 draft of the full 1800×1200 battle scene so far. This time, added some preliminary coloring to the draft. Looking much better! But still tons of cleaning up, shading and lighting to do, as well as other cool elements to add. For the sake of numbers, let’s estimate 33% (about 1/3rd) completed. This entry was posted in Danny Choo, Mirai Suenaga. Bookmark the permalink.